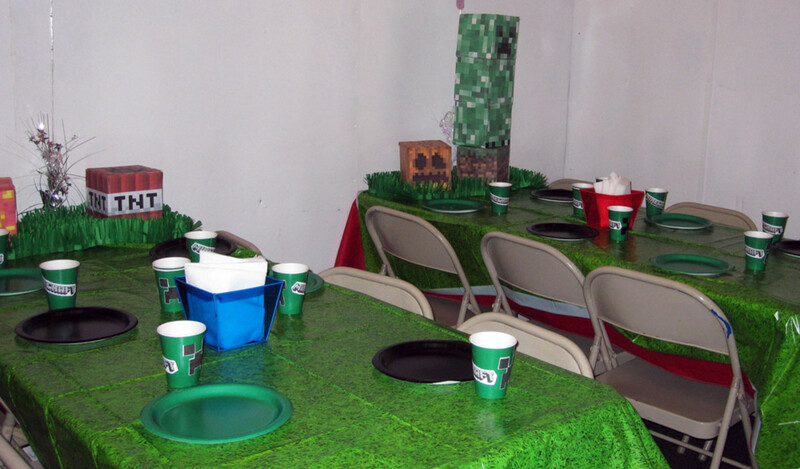 I've thrown my kids themed parties based on pirates, dinosaurs, and Legos, but this year, there's one obvious choice: Minecraft. 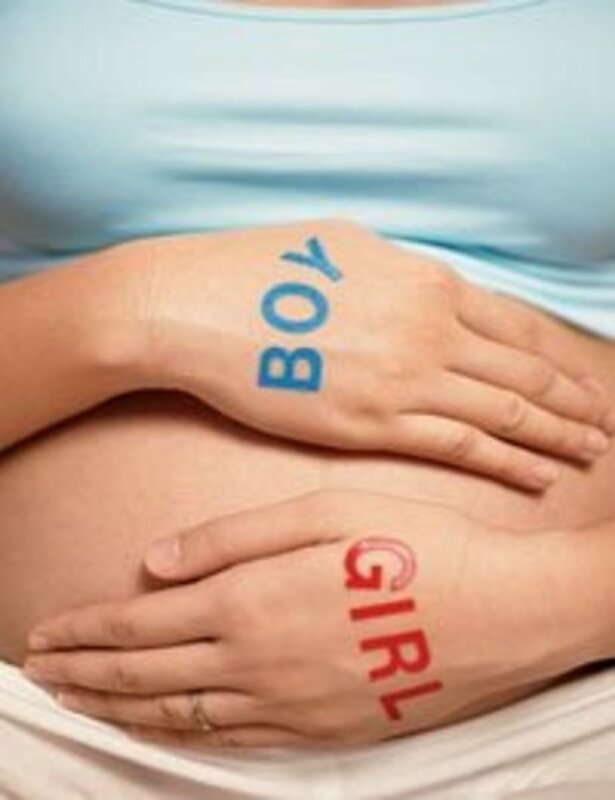 From digging around on the Internet, it's clear that, if you have kids—particularly boys—it's highly likely you'll come to a similar conclusion. 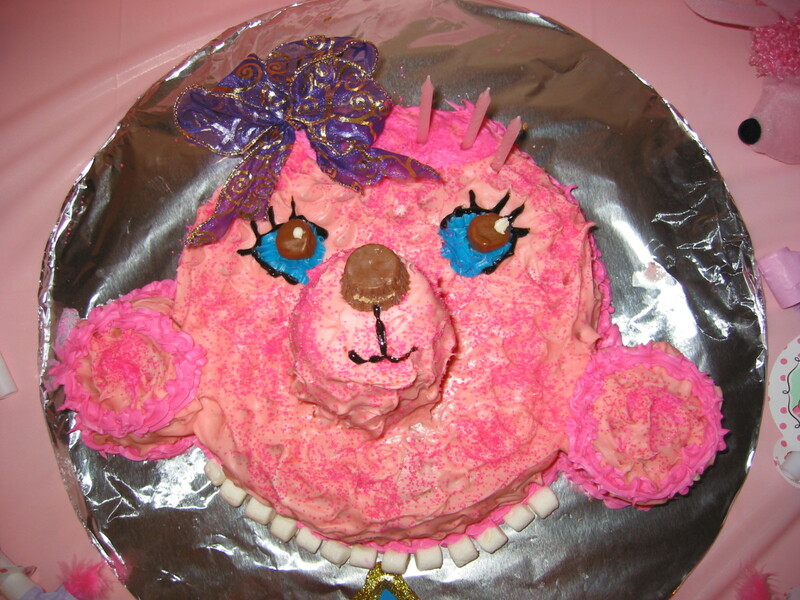 I've done lots of research and looked around on the web to see what all those clever, crafty folks are doing for their parties. 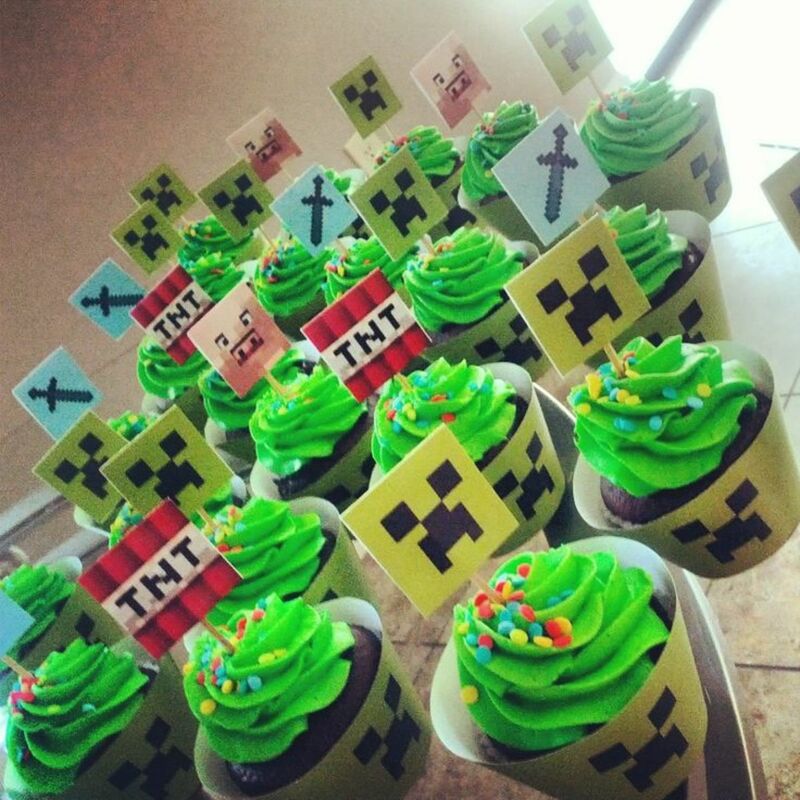 I've compiled my research here to help you plan and create your own Minecraft-themed party. 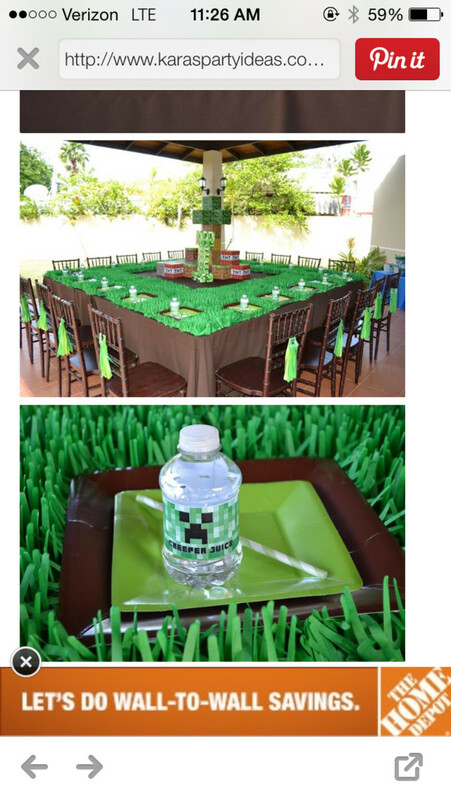 What Do I Need to Have a Minecraft Party? 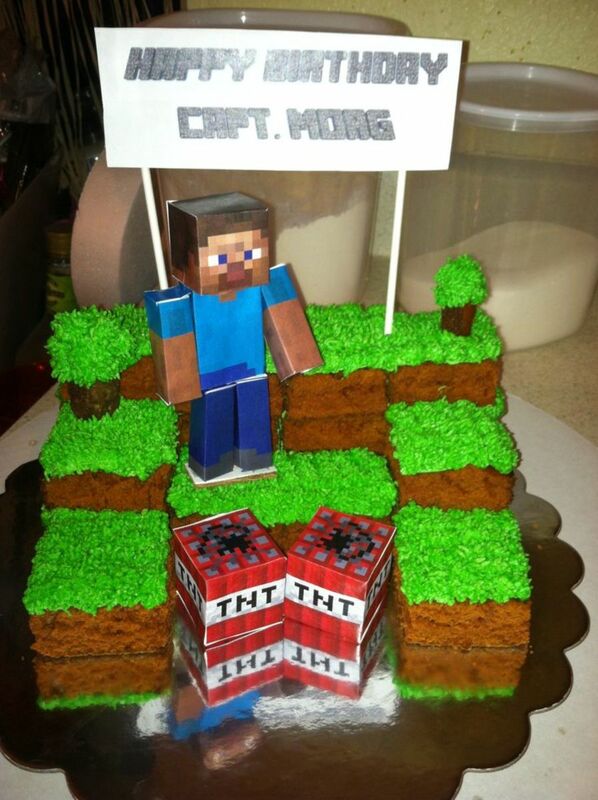 For the uninitiated, Minecraft is a computer and console game-craze that's currently sweeping the globe. 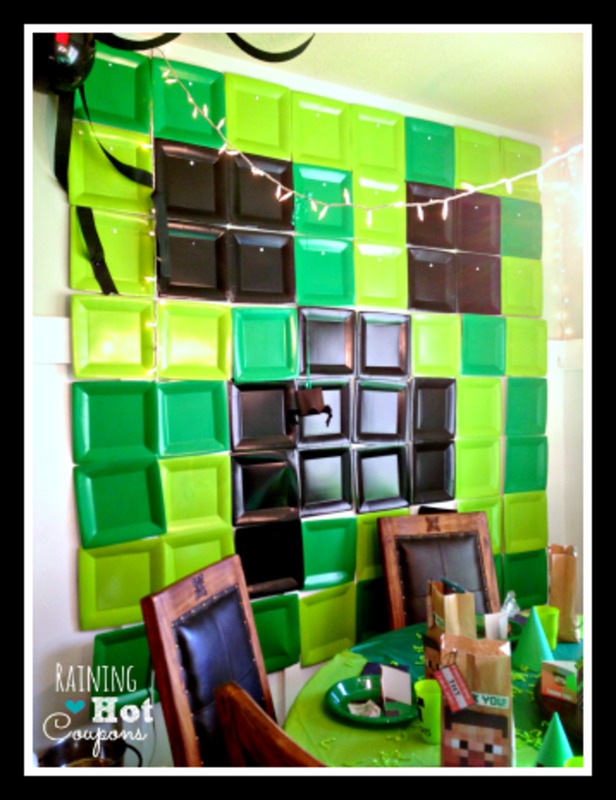 Popular with kids and adults, the gist is that you get to create your own world out of "crafted" blocks that you break and place to form structures. 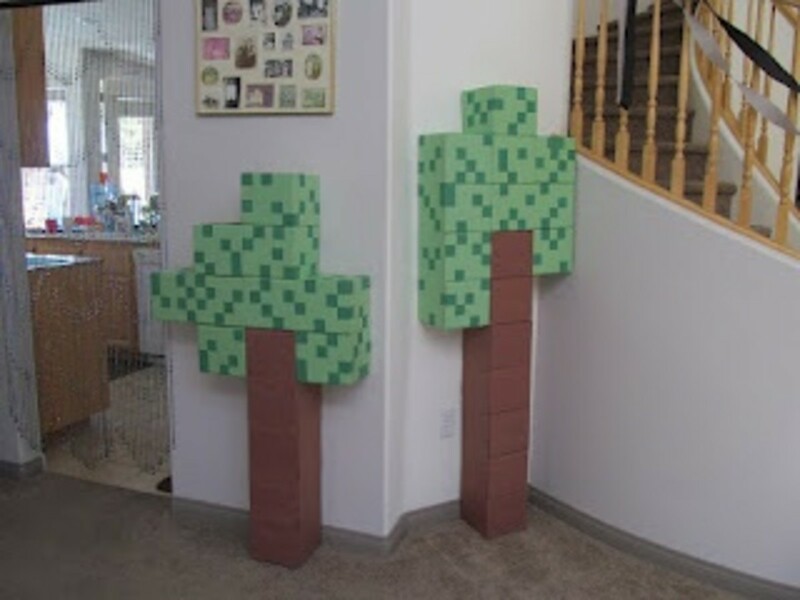 The blocks can be made from various substances—such as dirt, stone, various ores, water, and even tree trunks—and players are free to wander wherever they desire, building and bashing rocks to make a world of their choosing. There are generally two main modes: creative and survival. Creative mode (the more child-friendly option) allows you to run around without any bad guys attempting to kill you or ruin your structures. In survival mode, there are bad guys that try to do exactly that. 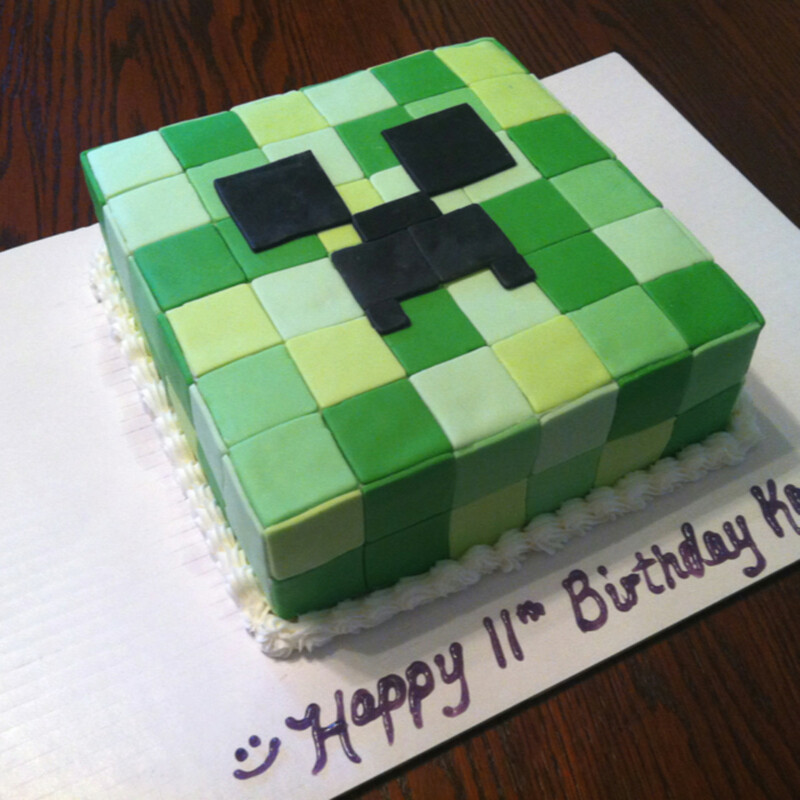 As a sandbox game (meaning the player gets to move around the world freely, as opposed to having limited, linear movement), Minecraft allows kids to let their imagination run wild in order to create, rather than bashing enemies mindlessly, as is often the case in other games. Pretty soon, your kids will be crafting, smelting, and brewing all day long if you'll let them, and there's a host of passive and not-so-passive creatures to accompany them in their world, including the now-famous pigs, sheep, and the infamous Creeper. 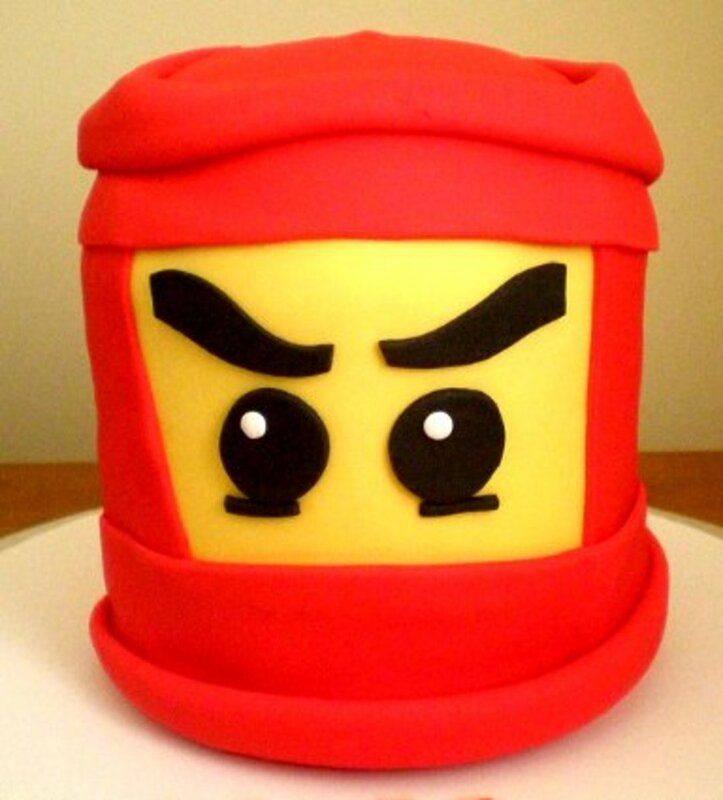 What's made it a surprising hit is the deliberately simple and pixelated design of the characters and blocks. It feels pleasingly "lo-fi" when compared to the increasingly sophisticated and life-like games currently being developed today. 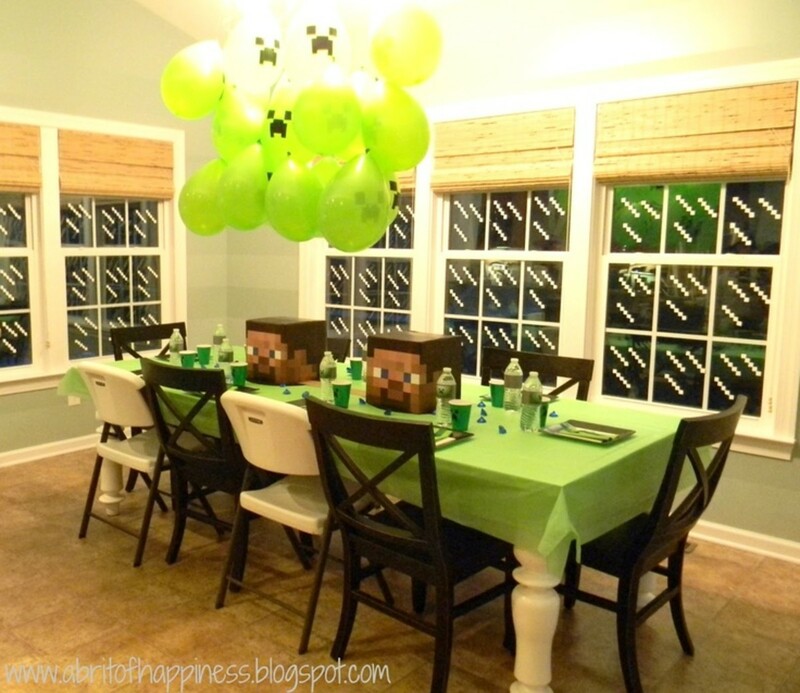 Happily, it's precisely this element that makes Minecraft a big hit for a party theme, as it translates really well to crafts—particularly if you're not naturally arty—and so it's super easy to replicate the imagery at home, particularly with kids on hand to help. 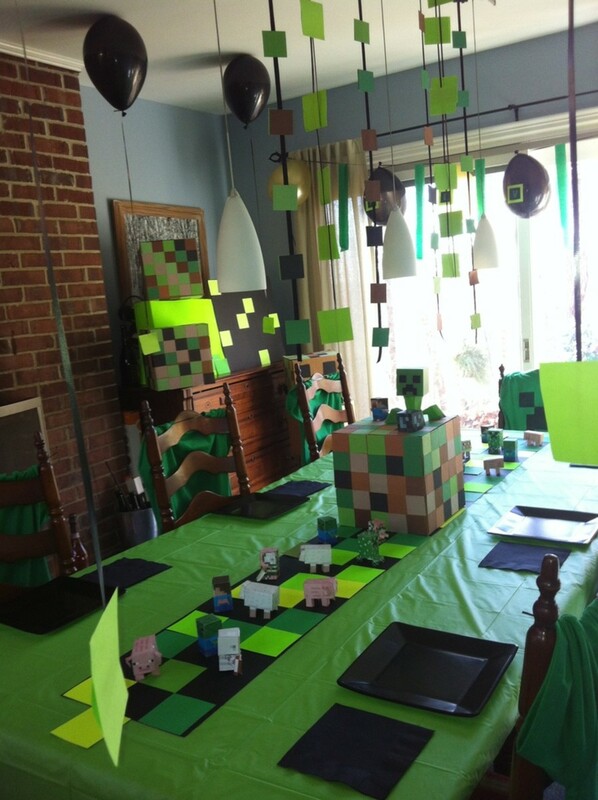 Even if you don't understand the game's rules, chances are that your kids will be huge fans, and that's why it will likely be one of THE top kids' party themes for the next few years. 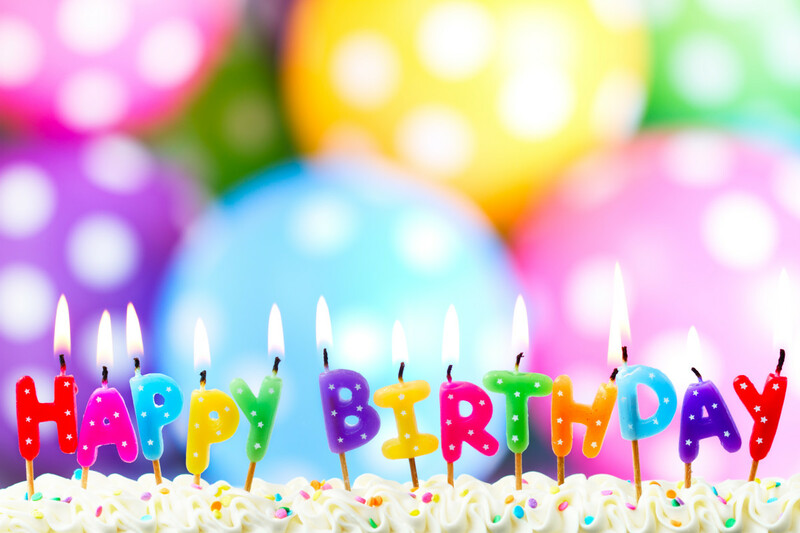 Before you think about the cake, games, or how to decorate, you're going to need to send out an invitation. This is an opportunity to have a bit of fun and provide a taster of what's to come! 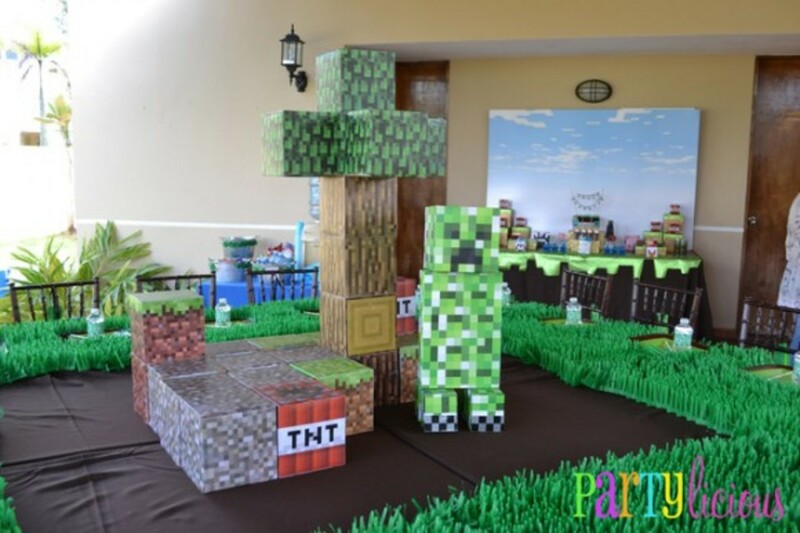 From pre-designed, printable PDFs that can be easily purchased online, to a self-designed, home-crafted, pop-up affair, there are heaps of choices out there on offer for anyone contemplating a Minecraft party. 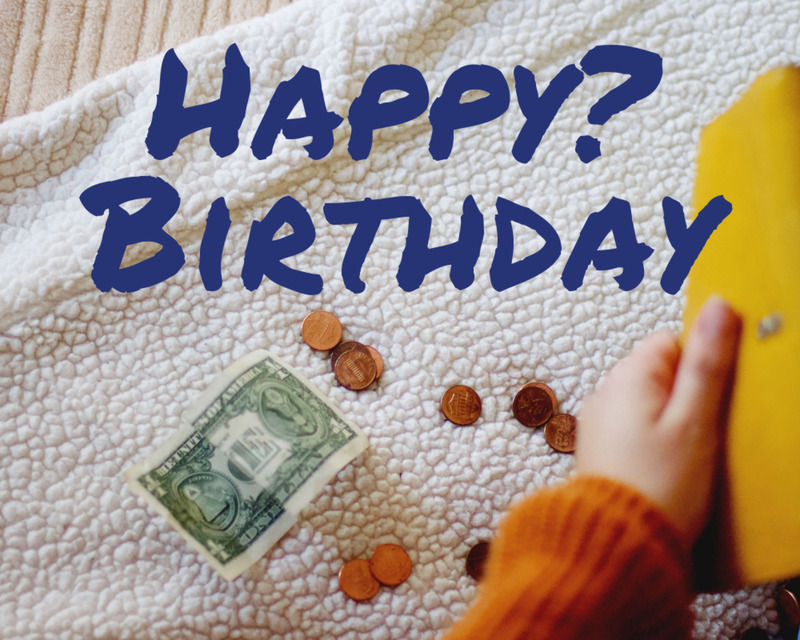 If you're confident enough, it's actually really easy to create your own card in Word in a few easy steps. 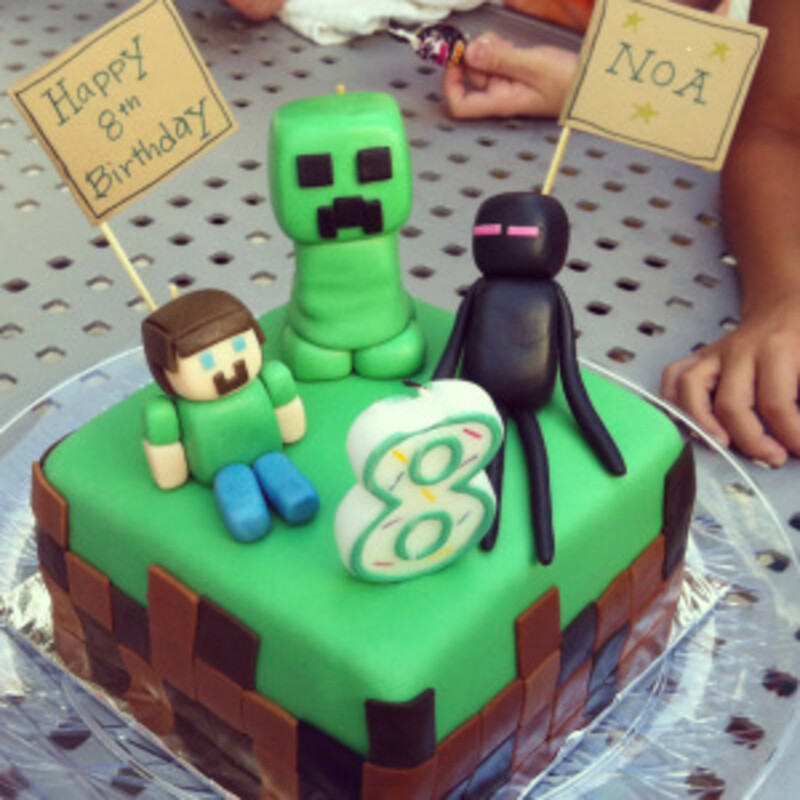 You can even download free Minecraft-esque fonts onto your computer if you want to go the extra mile. Download a free template. There's a bunch of easy-to-use templates around the web. 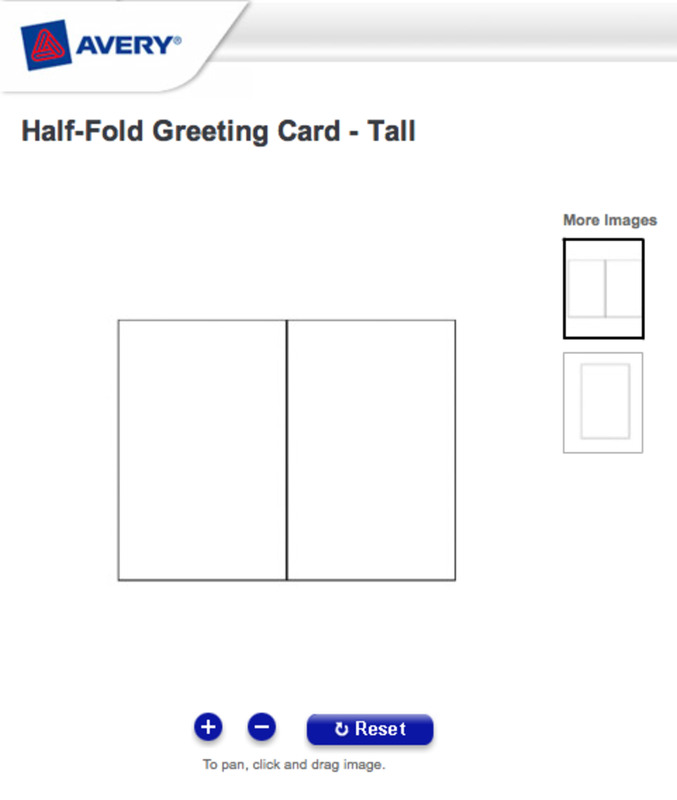 My personal pick is Avery's half-fold greeting card in wide. 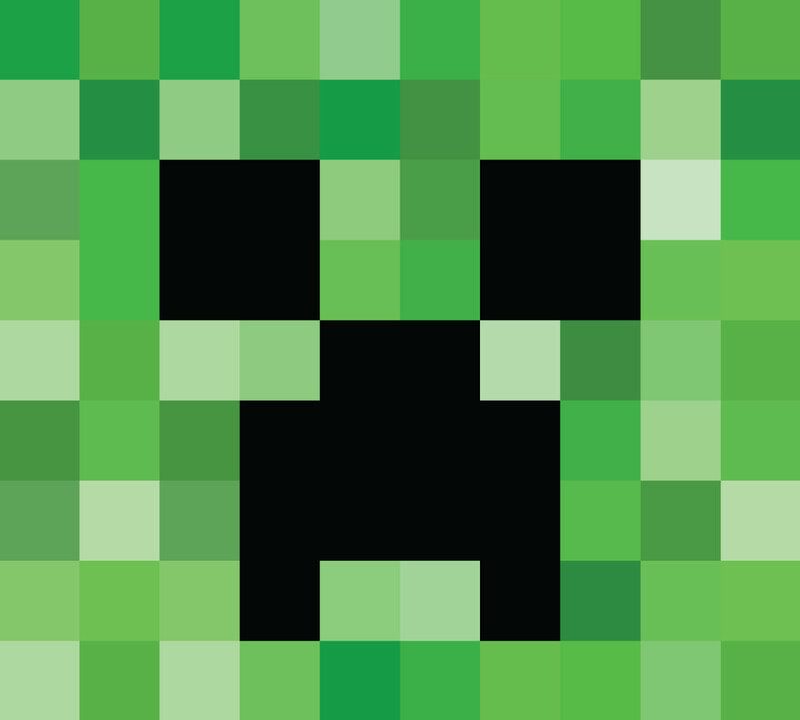 Download any suitable JPG image, such as this Creeper face (you can select the size you need and resize or crop in Word or a photo-editing program). 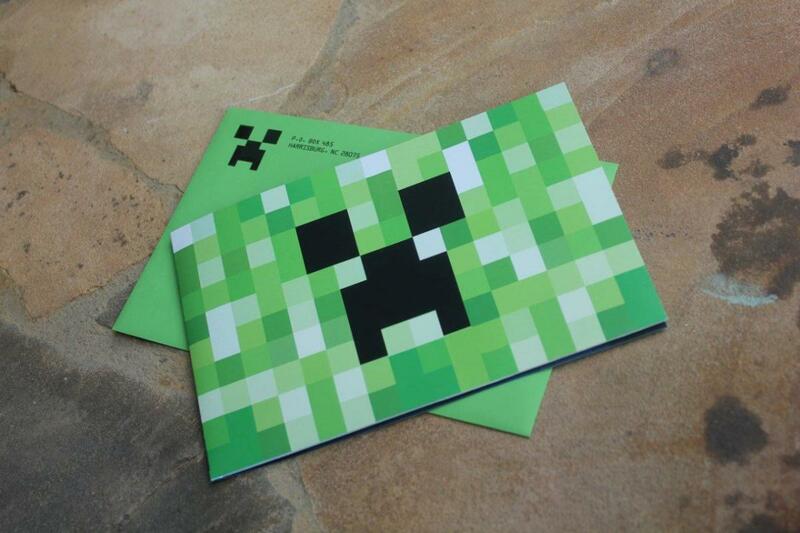 Open the card template in Word, and import the Creeper JPG Image. Resize to fit as desired, and add text. 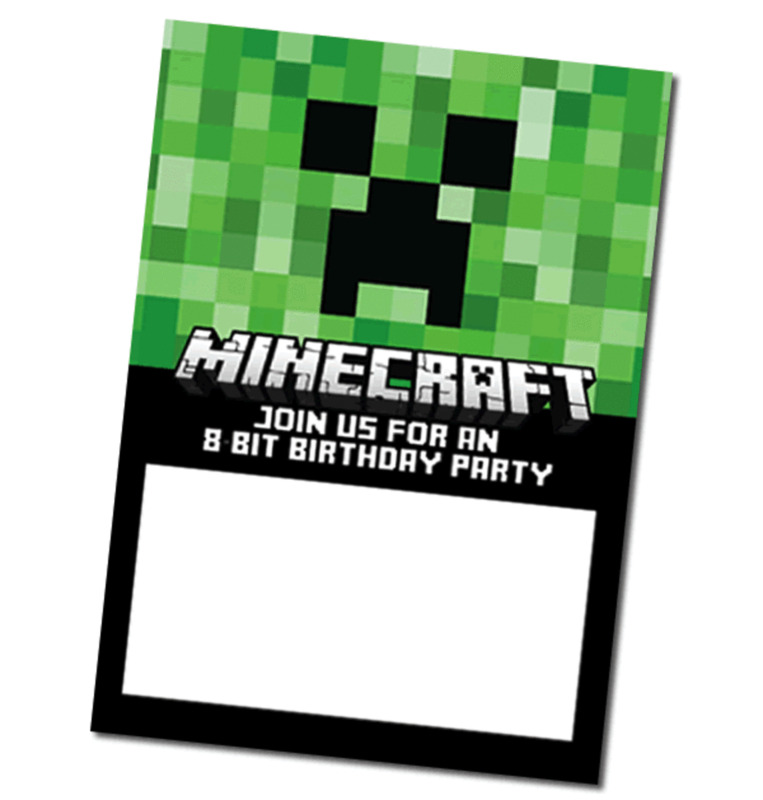 If you like the idea of printing your own card but want to keep it really simple, you can make your own using one of the many free Minecraft printables available on the web. 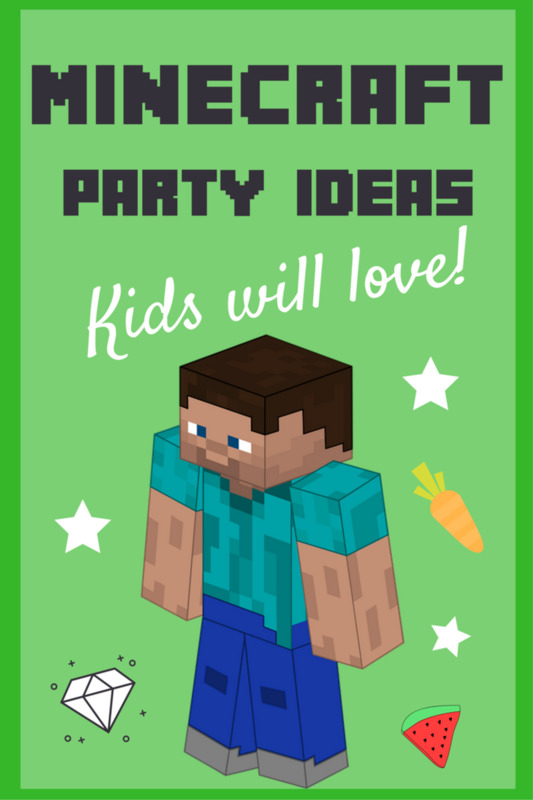 To make this particular card, you'll need to download this fantastic party invitation courtesy of Molly's blog Digital Mom. It fits neatly into a 5" X 7" envelope, and you can handwrite your own wording. But she also includes incredibly easy instructions that show you how to edit and add wording using your computer. Thanks, Molly! 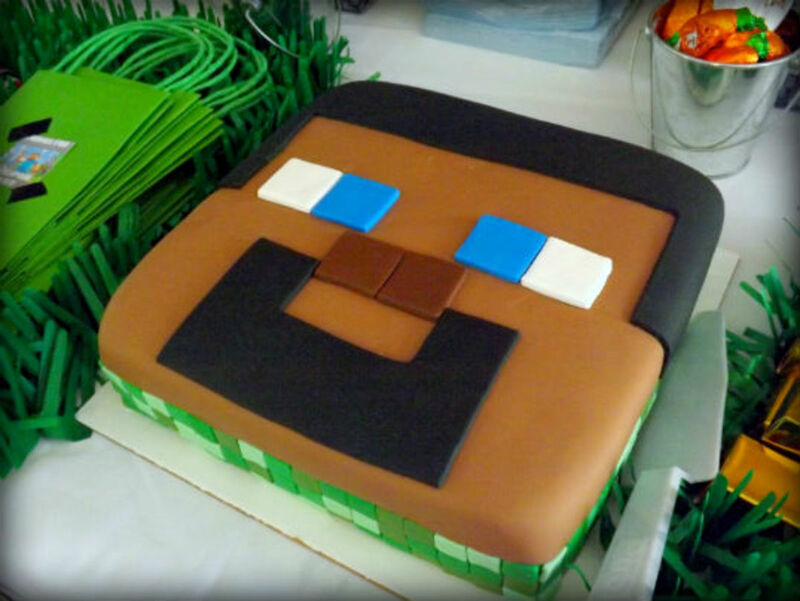 Whether you feel talented enough to take on a themed cake to compliment your party, or you have someone to make it for you and you just need an inspiring image to show them, these fabulous Minecraft-themed cake ideas are sure to tempt you. 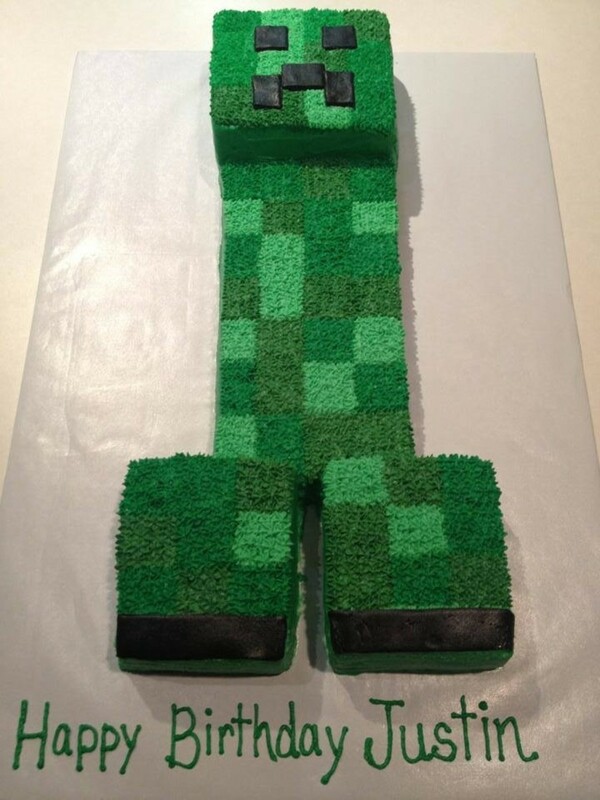 And just to prove that even those of us with the least amount of creative talent can come up with something your kids are sure to love, first up is my own Creeper-face cake! 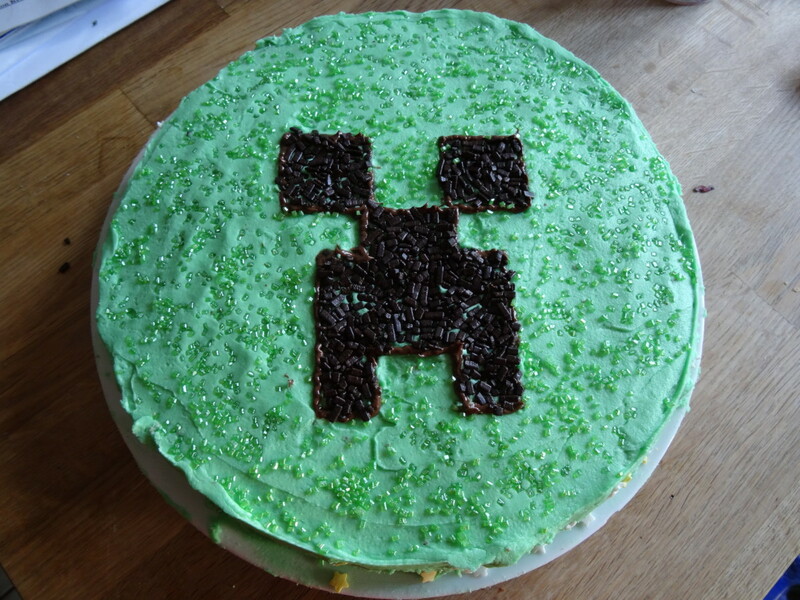 It won't win any cake-decorating prizes folks, but my seven-year-old was ecstatic when I presented him with the end result; his beaming face was all the prize this Mummy needed. 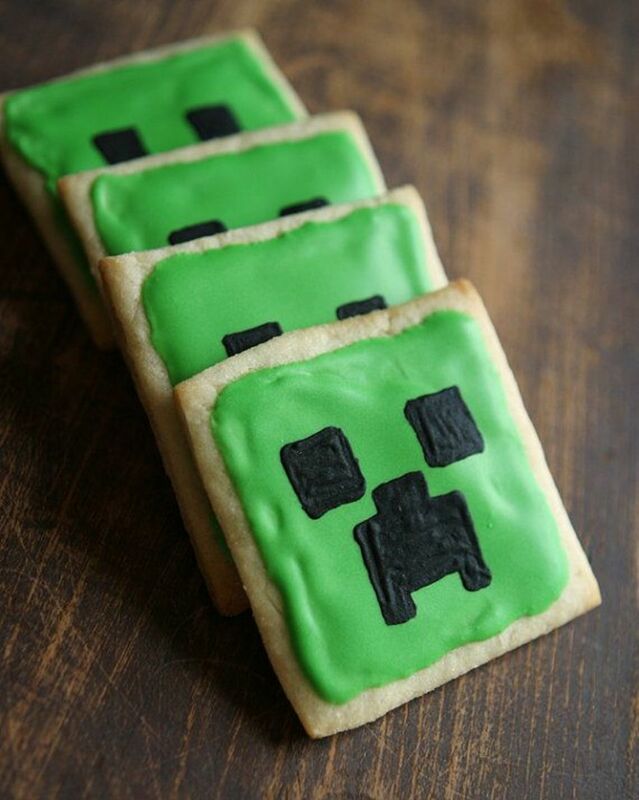 One of the great things about Minecraft is the food menu can be replicated with real-world snacks and treats—pretty healthy ones too! 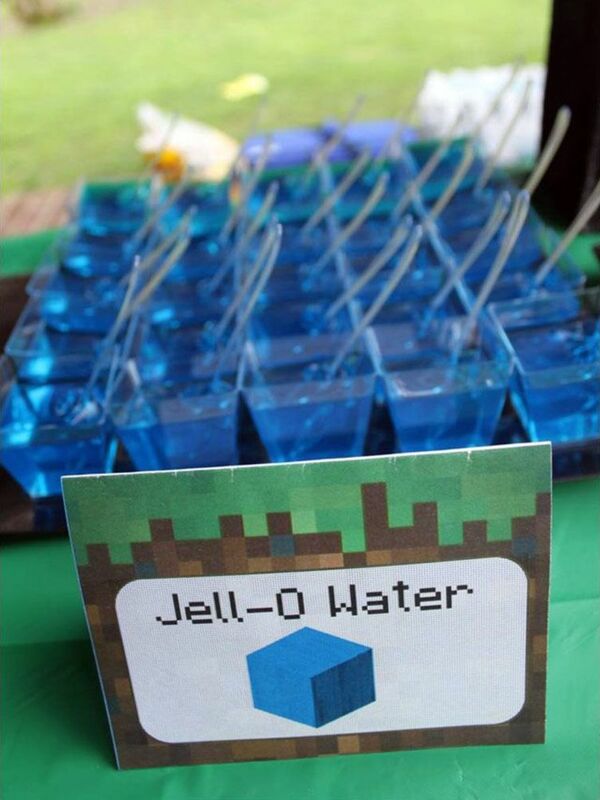 A simple but highly effective idea is to offer bowls labeled with a selection of the various Minecraft-related food items for kids to graze and help themselves. Here were some of my favorite ideas. 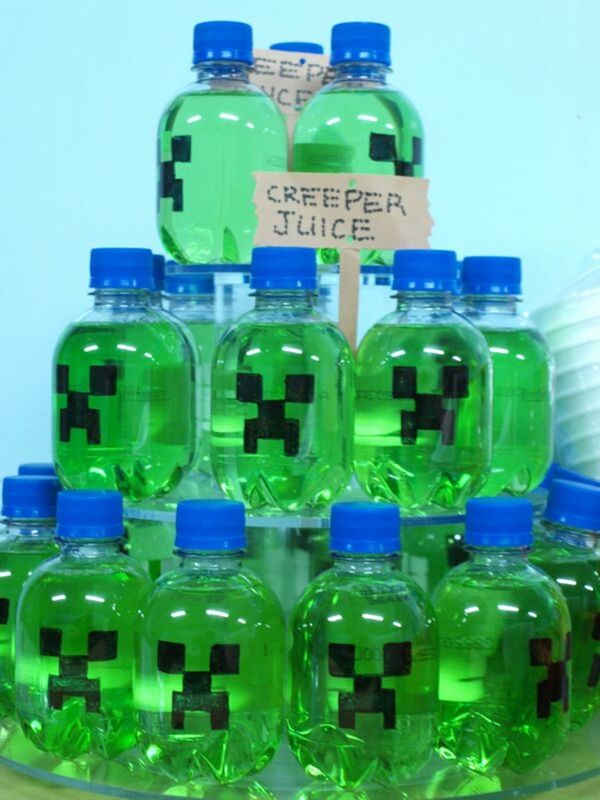 Colored Juices and Re-labelled Soda Bottles: You can really have fun creating a mini brewing stand to hold coloured juice or pop bottles that you've re-labelled with names such as '"Creeper Juice." Candy Gemstones: For sugary treats, why not scatter various gemstones used in the game, such as diamonds, amethysts, emeralds, and sapphires, together with ingots of gold, steel, or iron? You can find amazingly realistic gemstone candies online, or simply visit your local candy store and be inspired! 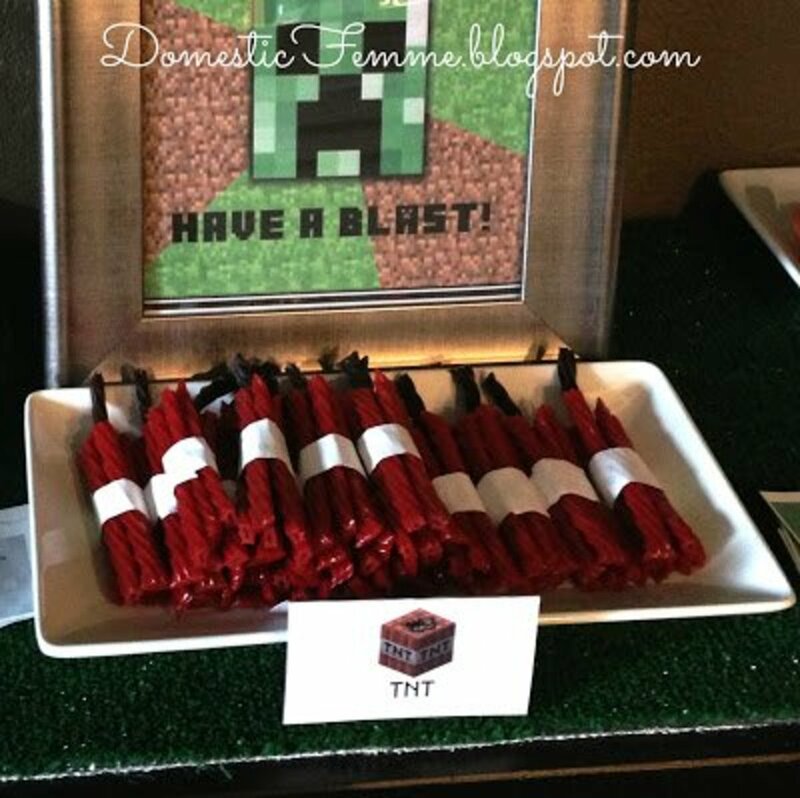 Get Creative With Other Candies: Another fun tip is to replicate a few of the non-food items, such as using candy canes or red licorice to represent exploding sticks of TNT. 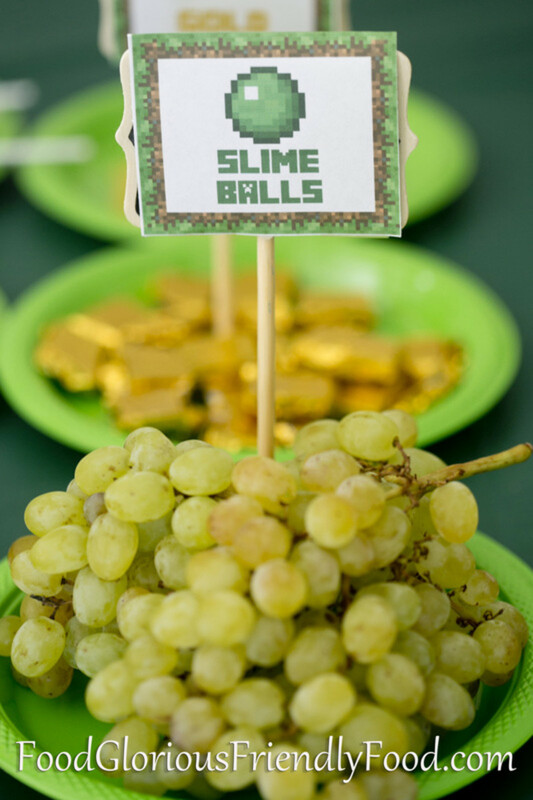 There's a ton of possibilities, and none of it has to be expensive or fancy; finger food works best at kids' parties. 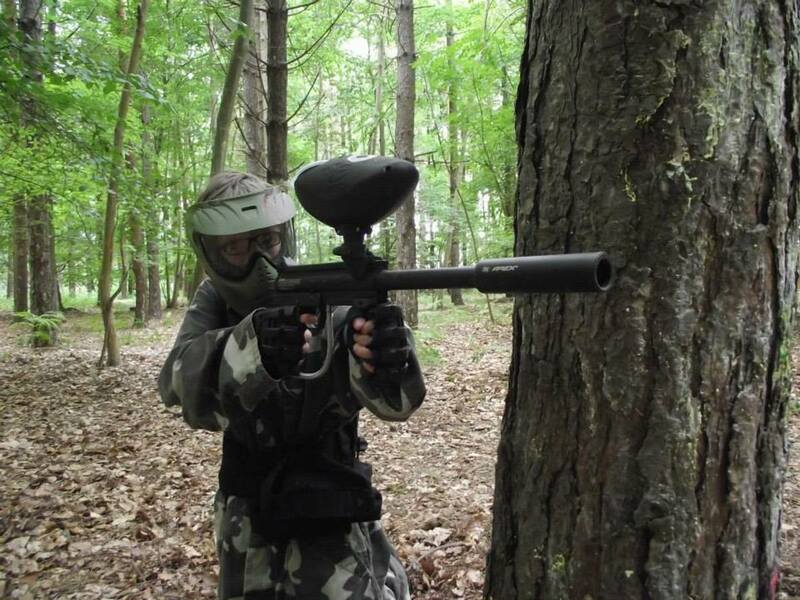 Just let your imagination run wild a little, and go all-out on the fun factor. This is where you can really let your imagination run wild! 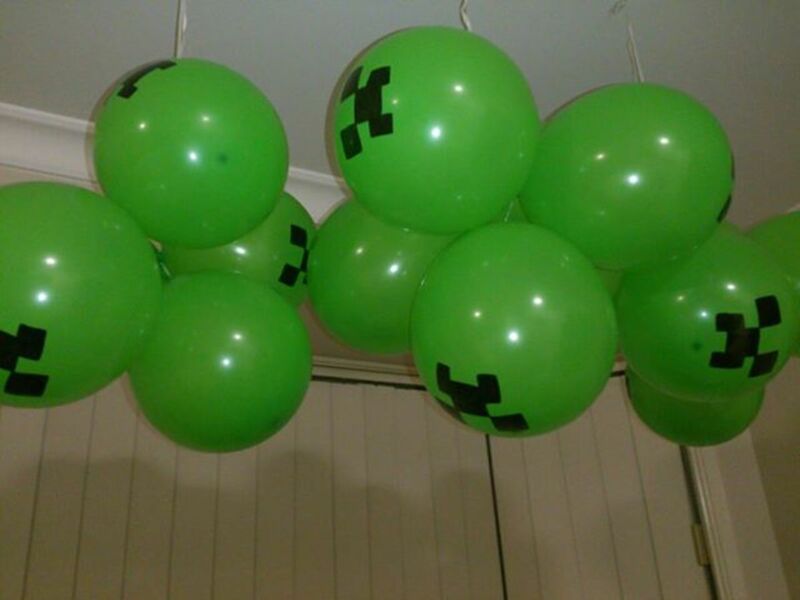 With a palette of black, brown, green, and grey, it's easy to create a Minecraft world using balloons, paper, streamers, imitation grass, and sticks. 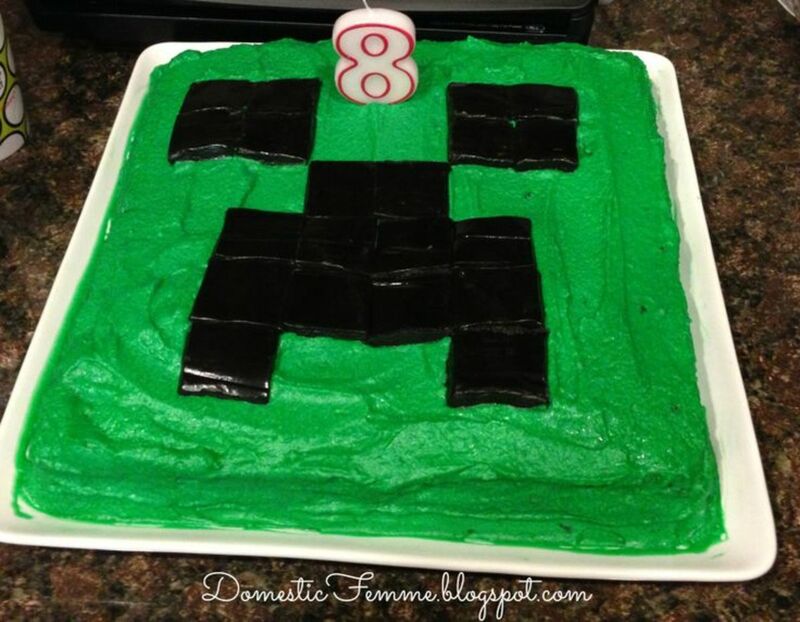 While your kids will probably quite happily sit and play Minecraft for a few hours, you're going to want them to be up and about and having the maximum amount of FUN! 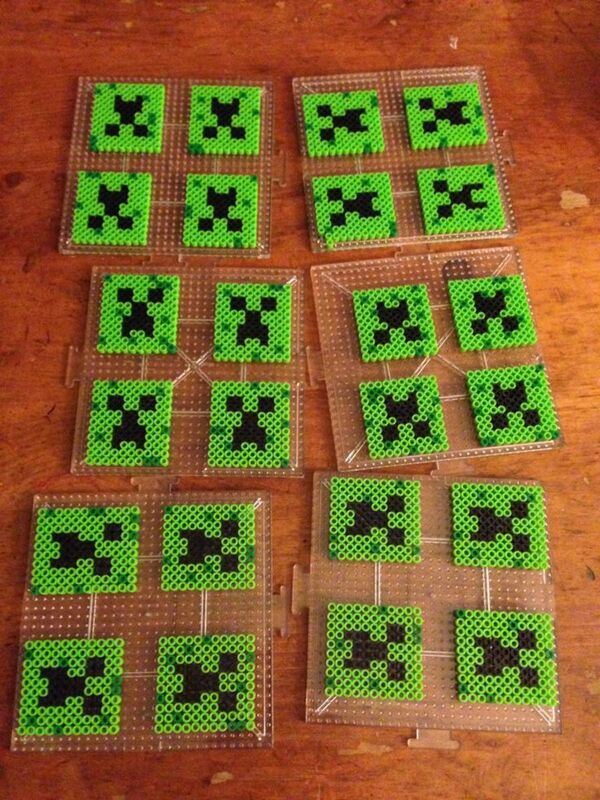 Perler Beading: Have a table set up where the kids can make their own Creeper keychains, bracelets, or necklaces to take home in their goodie bag. You can buy the keychains, leather thongs, and any other supplies you might need pretty cheaply on Ebay, Amazon, or Etsy. 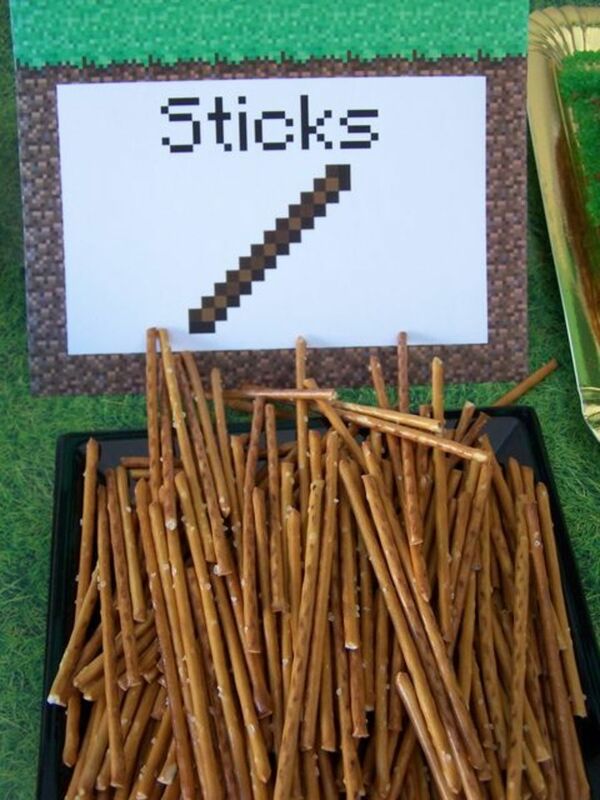 Decorate a Sword: A central item in the game, have the kids decorate their own cardboard sword near the beginning of the party. You can download a printable sword template, or you can draw on by hand if you like. 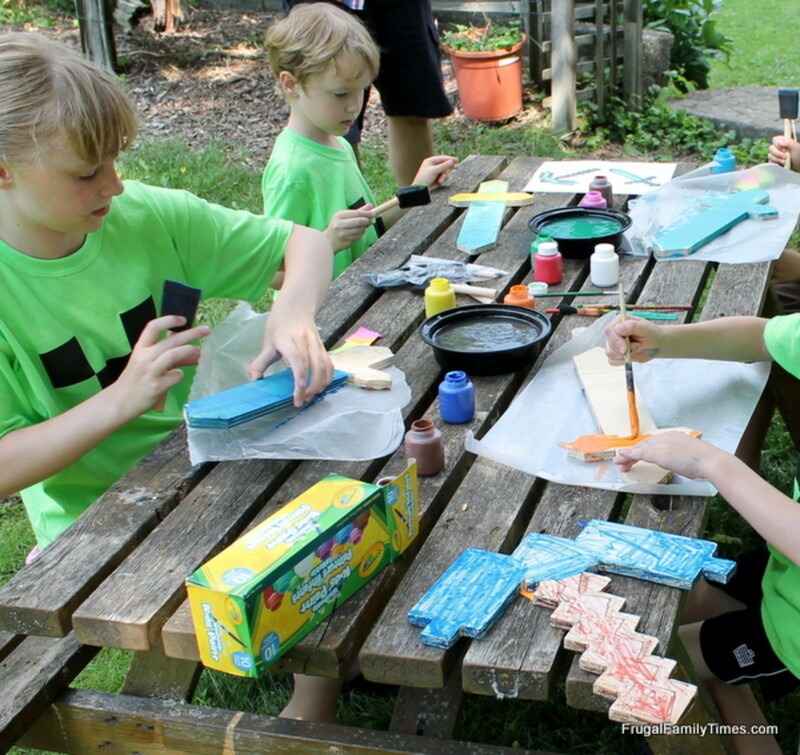 T-Shirt Printing: Help them stencil, paint, print, or iron-on Creeper faces onto T-shirts that they can wear and take away as a party keepsake. And you definitely don't have to limit yourself to T-shirts. You can vary this activity greatly by printing or decorating drawstring bags for the kids to take home, or even paper lunch-style bags. You can generally find cheap, basic T-shirts in bulk online. 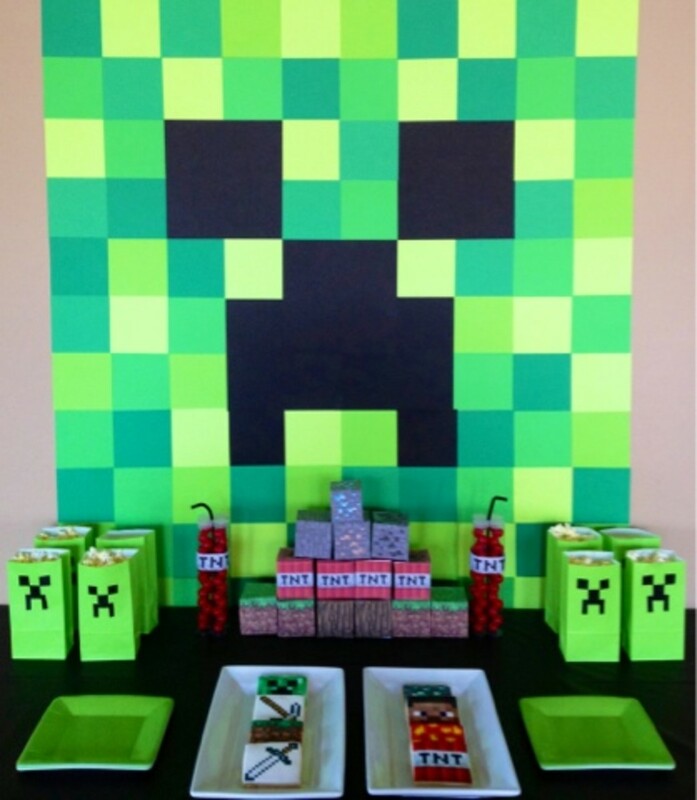 Ghast Piñata: This is really something to do with your own kids prior to the party, but this amazing tutorial for a Minecraft ghast piñata is an essential must-try if you love crafting, and the partygoers will just love bashing the ghoulish ghast! 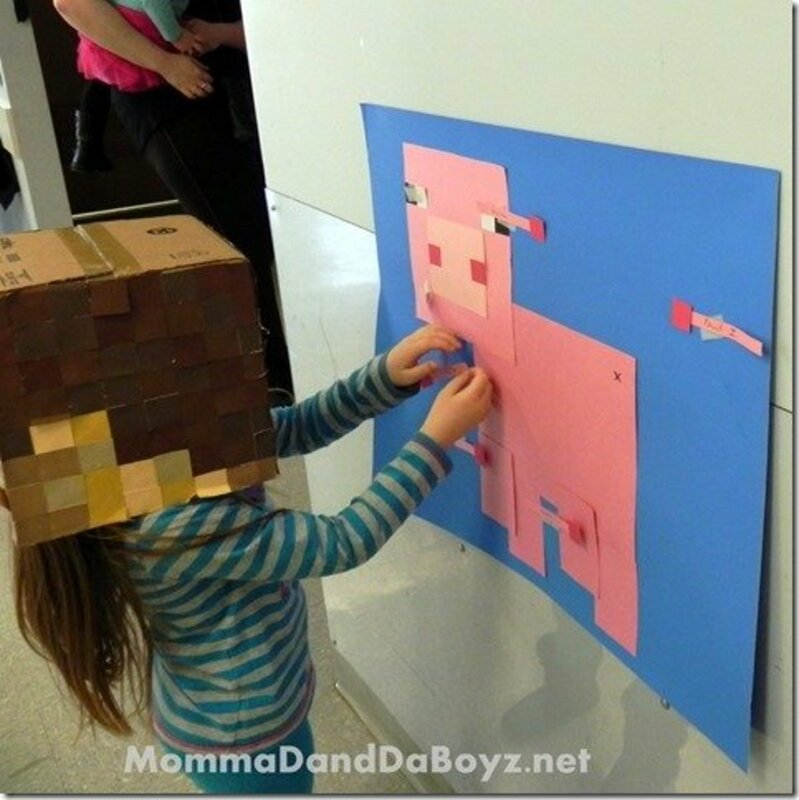 Pin the Tail on the Pig: A Minecraft-themed version of "pin the tail on the donkey" using the game's pig character instead. Pass the Exploding Parcel: Use layers of red paper and string to wrap the gift to look like a large stick of dynamite. To make it really fun and realistic, include a cheap, traditional alarm clock inside that makes a loud ticking sound. Get the kids to think it's going to blow any second! 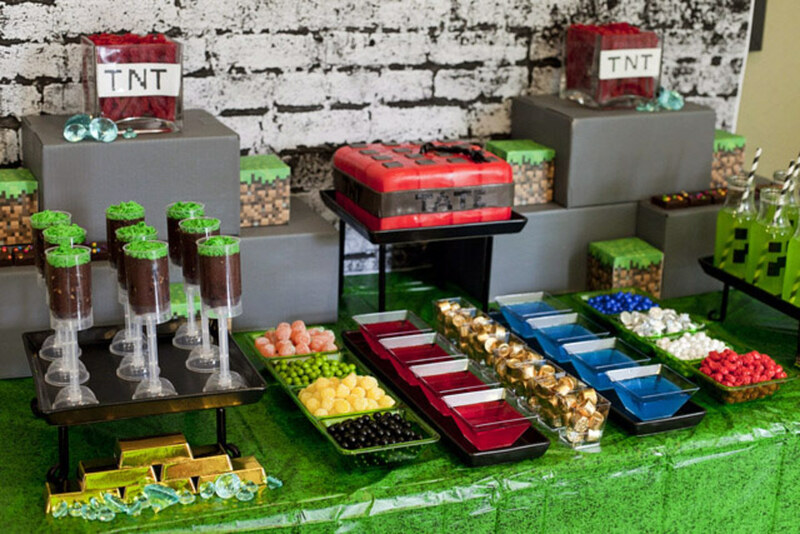 Include candy gems between layers so each kid that unwraps gets a mini prize. Gemstone Treasure Hunt: This is a really flexible idea that works well indoors in a litter bin filled with shredded paper or outside in a sandpit (sandbox) for younger kids. Or you could have the kids hunt for treasure around the house or garden with a treasure map you've drawn and copied. Include a few rare gemstones to locate that get a special prize, or award the main prize to whomever finds the most (you could even split the children into teams). Minecraft Bingo: Have the caller pick out cards featuring gems, potions, and various Minecraft-related items from the hat. 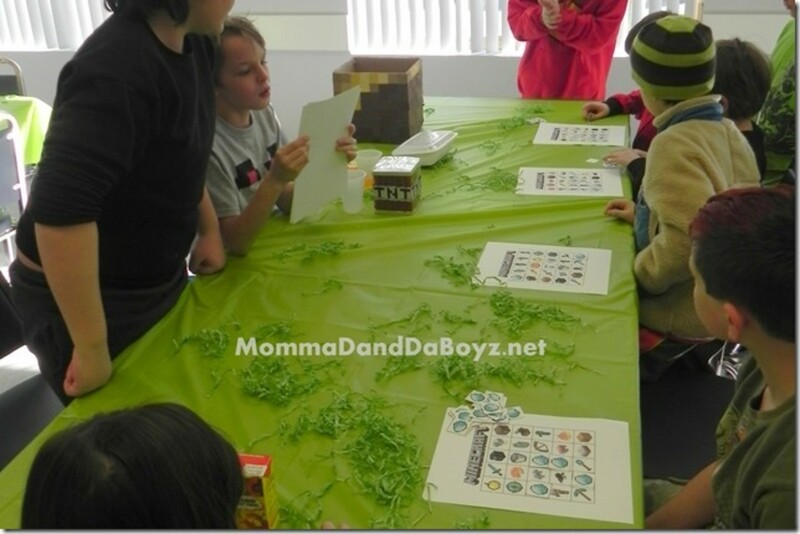 Have the kids mark them off on their bingo cards when those items are called. The first child to cross off all their items shouts 'Bingo!' and wins a prize. Zombie Game: Borrowing from staple Halloween games, have the kids lie on the floor like motionless zombies. One person has to be "it," and it's their job to make the zombies giggle, laugh, and move without touching them. Anyone moving is out and joins the others trying to make the zombies move, until only one is left and takes the prize! 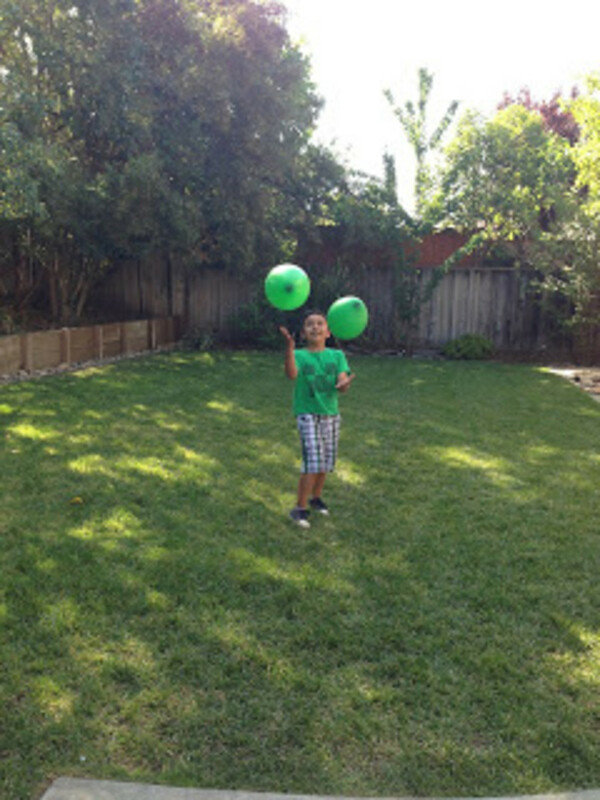 Minute to Win It: Try to keep two balloons in the air for one minute; it's harder than it seems! Apple Bobbing: Apples are important food items in Minecraft, making this classic game a winning choice. Music Statues: Throw on some Minecraft-themed music and watch them throw some crazy shapes. When the music stops, they have to stand perfectly still. The first to move is out and so on until only the winner is left standing. On Target: Create a circular target area on the floor using tape or rope with a central bullseye section. 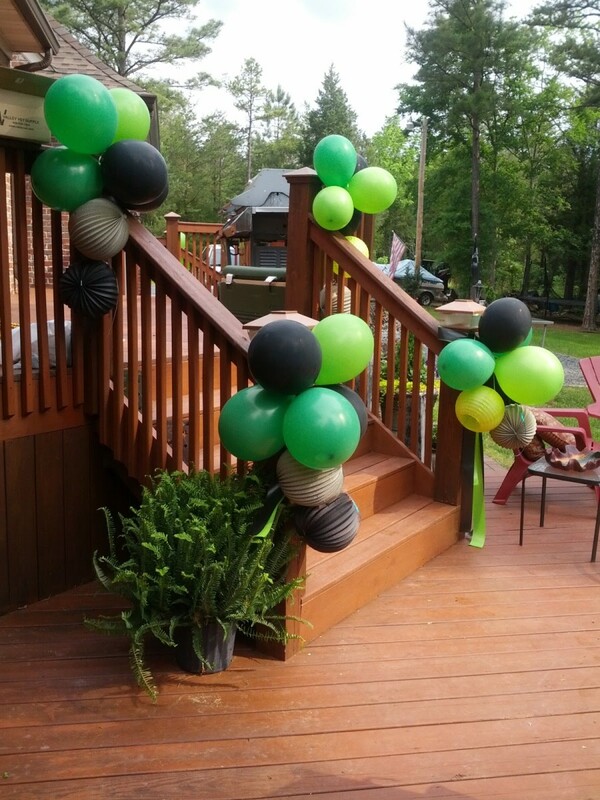 Get the kids to throw bean bags or another item into the target area. The closest to the center wins a prize. 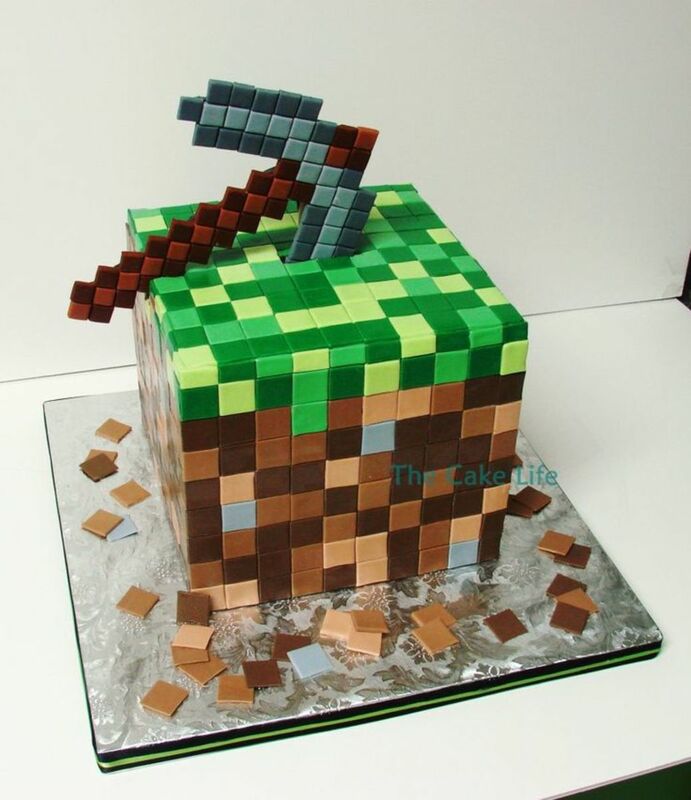 Music sets the mood, and it's absolutely worth taking some time to create a party playlist featuring a mix of video-game-style songs taken from current pop songs but reworked with fun, Minecraft-related lyrics. YouTube is a good place to search. Add in some of your current family faves, and you have a fun playlist that you can even burn to CD and give away in the goodie bags. 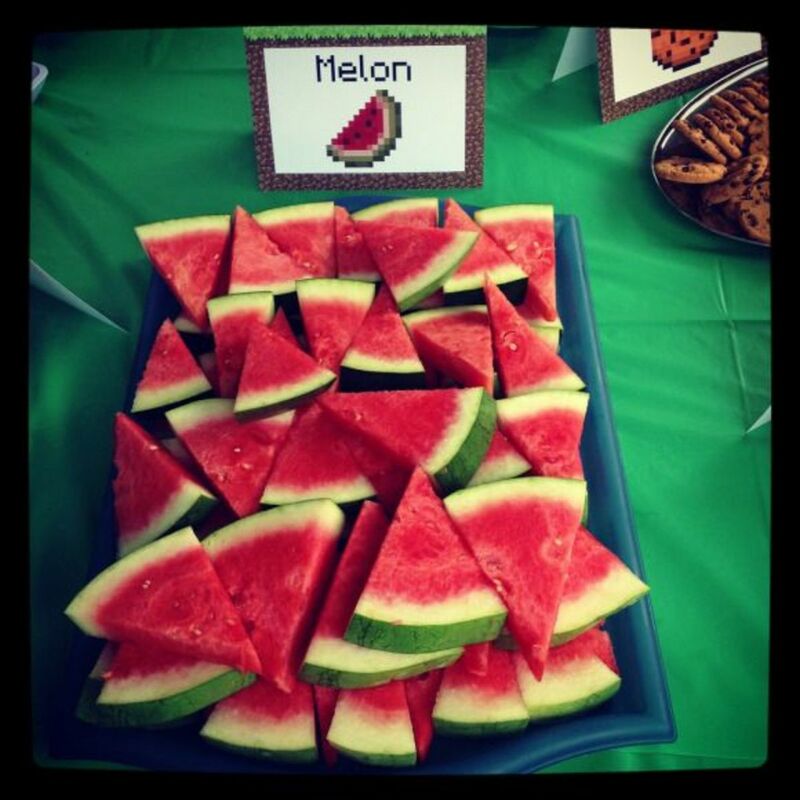 What's your top kids' party theme this year? Printables and Free Stuff to Download! 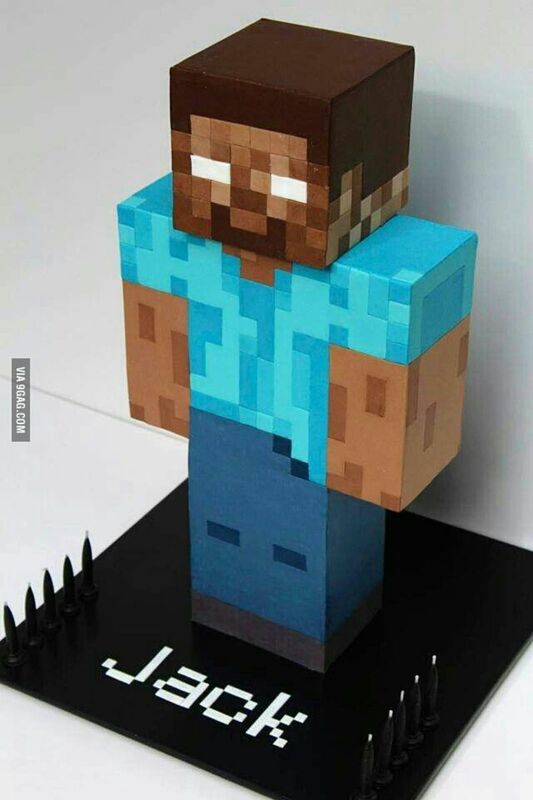 Printable Steve head; stick to a cardboard box, and wear it on your head! 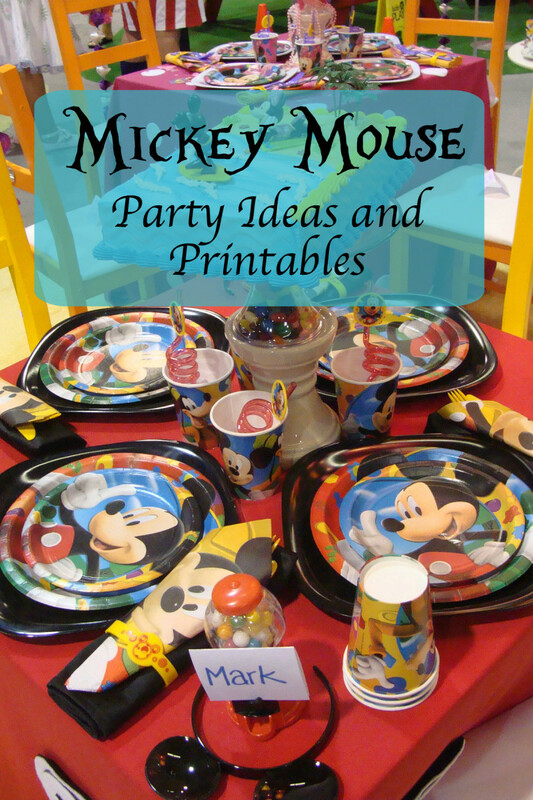 ColaradoMoms has links to lots of great free printables for parties. 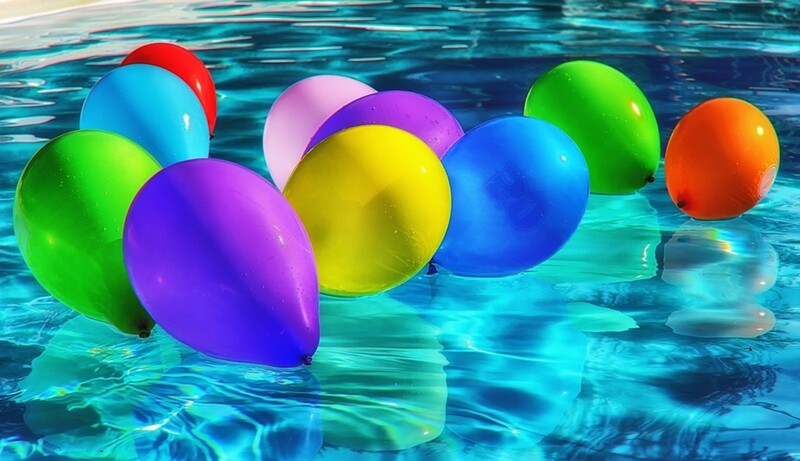 CatchMyParty is a goldmine of party information (pun intended! ), including some excellent free printables. 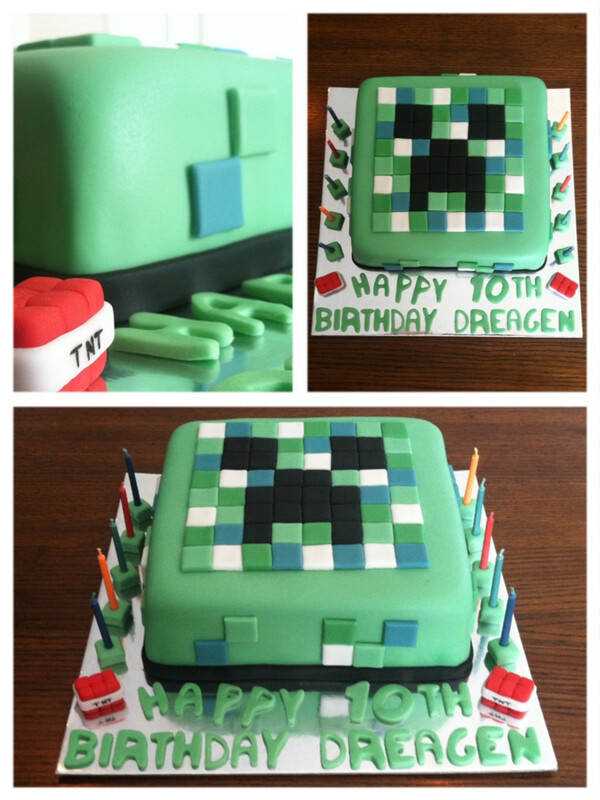 I love Minecraft, and I'm 25 years old (and female)! These are some really fun ideas - voted up! Love this hub. 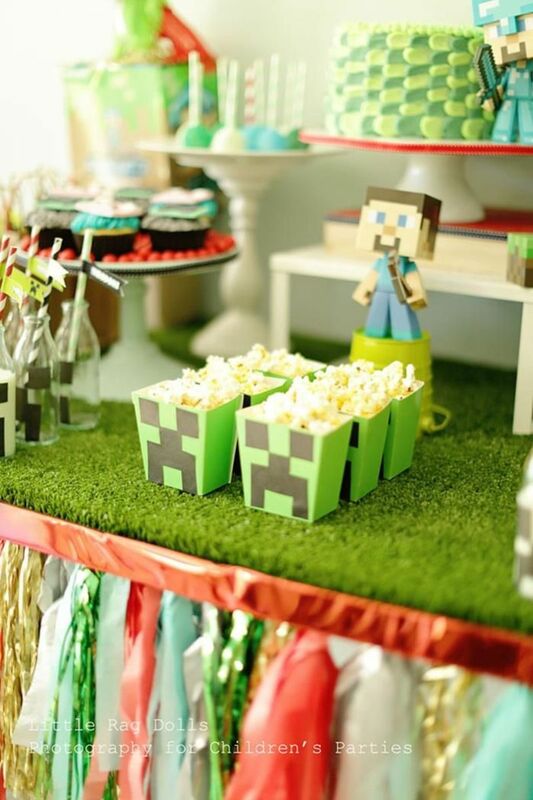 My son is going through the Minecraft madness at the moment and the invitations and party food here look really cute! Voted awesome.